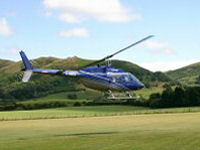 Enjoy the splendours of the rambling Malvern Hills from the air. The route will include: Eastnor Castle, Malvern Hills and Worcester. Each voucher entitles up to 4 people to participate in this experience. The voucher is transferable, which means that anyone can use it. The voucher remains valid for bookings for 6 months from the date of purchase. Please contact the operator	using the details printed on your voucher to arrange a date for your event.